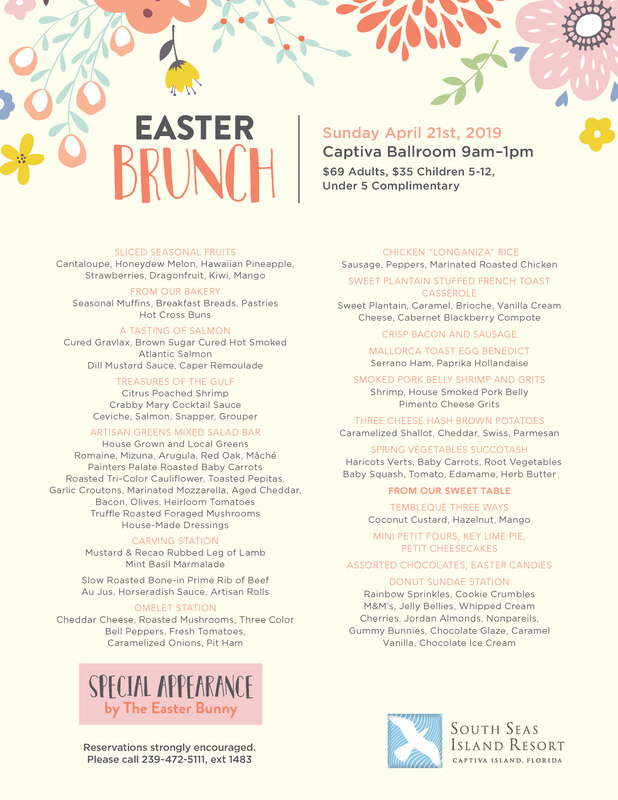 Enjoy a plethora of choices at our omelet station, carving station, donut sundae station and much more! Bring the whole family, as the Easter Bunny will be making an extra special appearance! This event is open to the public; $69.00 per Adult, $35.00 per Children ages 5-12. Children under 5 are complimentary. Reservations are strongly encouraged. Please call 239-472-5111, ext. 1483.